In collaboration with Laure Aurelian, PhD, at the University of Maryland, Morrow and colleagues found that allopregnanolone inhibits TLR4 activation in macrophages, which are found in white blood cells and part of the immune system, including in the brain. In particular, the researchers found that allopregnanolone prevents TLR4 binding to MD2 proteins that work together to produce transcription factors that regulate the genes responsible for inflammatory responses in cells and tissues. Allopregnanolone also tamps down chemokines and cytokines, such as NFkB, HMGB1, MCP-1 and TNF-a, all of which are part of the immune system and involved in many different inflammatory diseases. The molecules are called traction force-activated payloads (TrAPs). They are growth factors that help materials such as collagen interact with the body’s tissues more naturally. Scientists have developed a high-tech bracelet called the Nightwatch, which detects 85 percent of all severe nighttime epilepsy seizures — a much higher percentage than similar devices on the market today. A new type of wearable technology may help prevent epilepsy-related deaths. Smartwatches are gaining popularity, and they often help users monitor their health in different ways, such as by recording sleeping habits or heart rates. The researchers, who published their results in the journal Neurology, believe that this bracelet could be a vital tool for people with epilepsy. Sudden unexpected death in epilepsy (SUDEP) is the leading cause of death in those with the condition. The risks of death are even higher in people who have therapy-resistant epilepsy and an intellectual disability. The research team, based in the Netherlands, tested the Nightwatch with 28 intellectually disabled participants who have epilepsy. Each participant wore the bracelet for an average of 65 nights, and the Nightwatch was set to sound an alarm if the person had a severe seizure. The participants were filmed to determine if there were any false alarms or seizures that the device failed to catch. The Nightwatch works by recognizing two specific characteristics of severe epileptic seizures — a very rapid heartbeat and rhythmic, jolting movements. When these are detected, the device will immediately send an alert to the person’s caregiver. Overall, the device recognized 85 percent of all severe attacks and 96 percent of those that were the most severe. Both scores are far higher than those of similar devices. The current standard method of detection is a bed sensor that reacts to vibrations caused by rhythmic jerks. The researchers also tested this sensor, for comparison, and it only detected severe seizures 21 percent of the time. When the data were tabulated, the Nightwatch had missed a serious attack once out of every 25 nights per patient, which is far less often than the bed sensor — this had missed a serious seizure once out of every 4 nights per patient. While epilepsy involves seizures, not everyone who has experienced a seizure has the condition. Instead, epilepsy is defined as a chronic, ongoing disorder hallmarked by recurrent and unprovoked seizures. There are a number of types of epilepsy, defined by several factors. 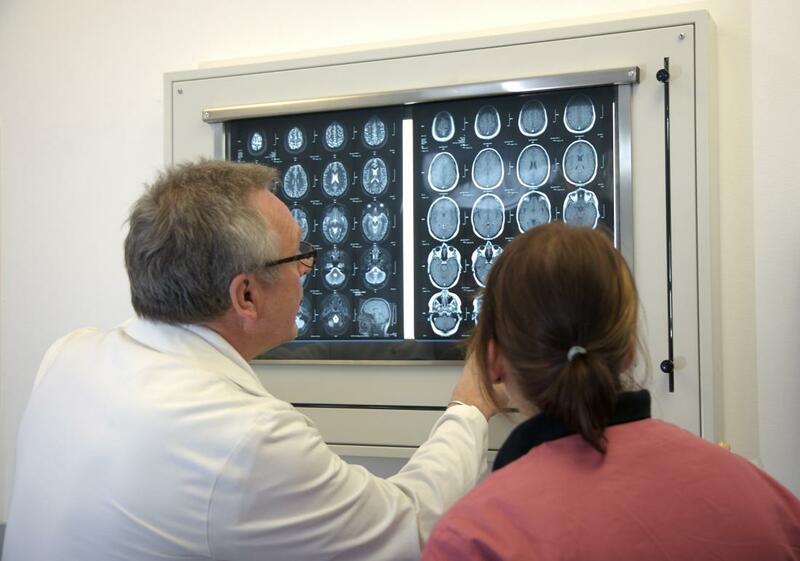 When making a diagnosis, a neurologist will take into account what types of seizures the person experiences, how old they were when the seizures began, what part of the brain is involved, and what patterns can be detected, among other considerations. Epilepsy is not always fatal, but those with this neurological disorder are at risk, in some cases. The leading cause of epilepsy-related death, as mentioned above, is SUDEP. Following SUDEP, the body is often found in bed. In only a third of cases, there is evidence that the person experienced a seizure close to the time of death. Also, the body is frequently found facedown, which leads researchers to consider that suffocation may be involved. There are a number of risk factors for SUDEP, including being aged 20–40, experiencing seizures at night, and having epilepsy that began during childhood. 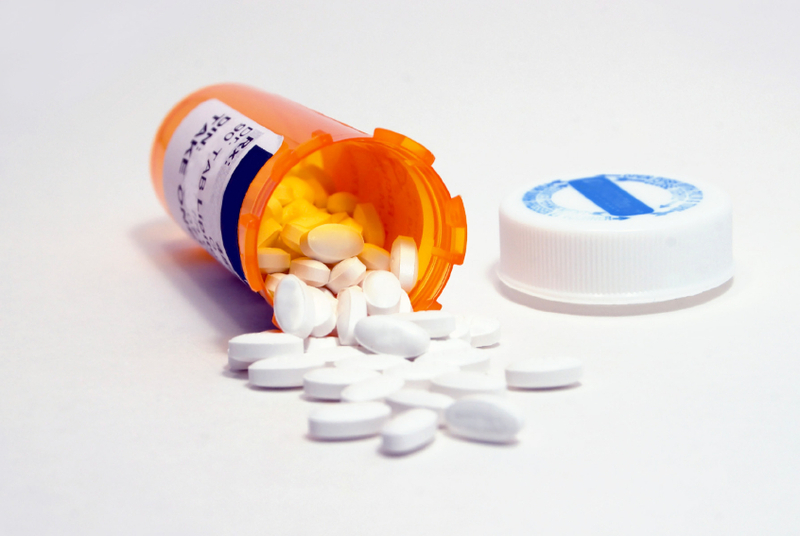 In addition, those who have poorly controlled epilepsy are at much greater risk than those who do not, including patients that do not take their medication as scheduled. Also at increased risk are those with therapy-resistant epilepsy. The Nightwatch may be a valuable tool for people at risk of SUDEP, and it could make a resounding difference for epilepsy patients, their caregivers, and their families. 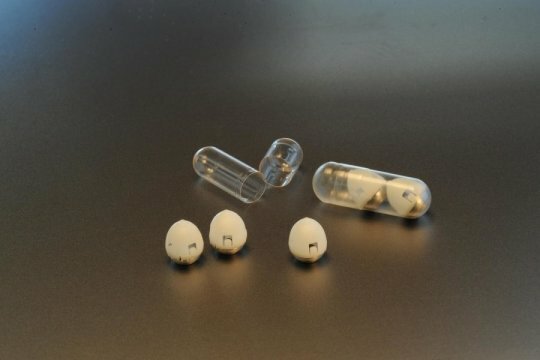 The research leader, professor and neurologist Dr. Johan Arends, says that the device may reduce the number of SUDEP incidences by two-thirds. However, he notes that this figure will depend on how quickly carers respond to the sounded alerts. If the device finds its way around the globe, it may help save thousands of lives. “In many ways, the search for new malaria drugs has been a search for something akin to aspirin — it makes you feel better but doesn’t necessarily go after the root of the problem,” said Elizabeth Winzeler, PhD, professor of pharmacology and drug discovery at University of California San Diego School of Medicine. Despite significant advances in cancer research, the disease continues to exact a devastating toll. Because cancer is a disease of the body’s own cells, which mutate and develop under evolutionary pressure, conventional treatments like chemotherapy and radiation often leave behind a residue of resistant cells that go on to expand and wreak havoc. The work is part of a sea change in the field of oncology, where increasingly, the body’s immune system is induced to attack the disease. Immunotherapies have already shown startling effectiveness against certain previously intractable cancers and a pair of scientists were awarded this year’s Nobel Prize for their research into immune mechanisms known as checkpoint inhibitors. “Our system has the advantages of not requiring tumor tissue to DNA sequence and not having to guess whether a mutation elicits an immune response,” Johnston says. Cancer is different. Because cancer is a disease involving the body’s own native cells, most telltale signs of an alien presence, capable of triggering the immune system, are lacking. Fortunately, the body is not entirely defenseless against cancer. Certain signposts of illness produced by cancerous tumors can indeed provoke an immune response. 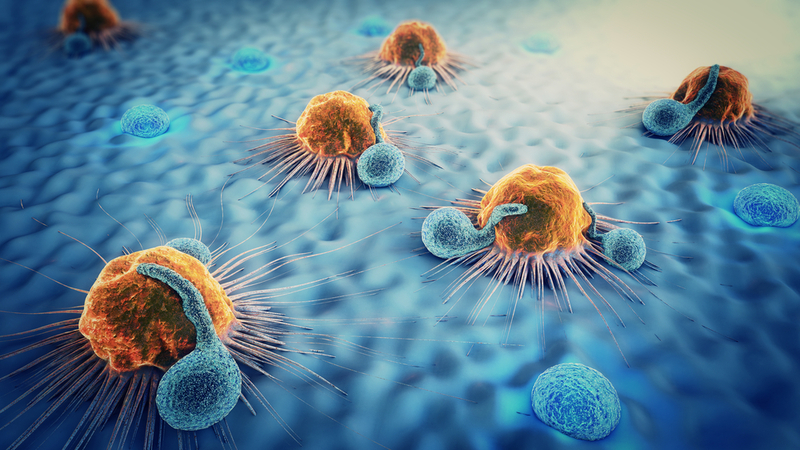 Particular mutated peptides can act to alert the immune system, once they have been expressed, processed and presented on the cell surface, allowing the immune system warriors — the T cells — to recognize and attack the cancer. Identifying and harnessing these factors — known as neoantigens — is the focus of the new study. But while cancer produces a variety of mutations, whose traces may be registered by the immune system, Johnston notes that not all mutations are created equal. A specific form — known as frameshift mutations — have been shown to be more effective stimulators of immune response. They have been difficult to isolate and identify, until now. In addition to indels, frameshift mutations can occur through a process known as exon mis-splicing. Exon splicing occurs prior to translation from RNA to protein. Here, nucleotide sequences known as introns, which do not code for proteins, are cut from sequences and ends of the remaining coding regions, known as exons, are fused. This process can mis-splice — either omitting part of the exon or including part of the unwanted intron sequence. Like indel mutations, exon mis-splicing is a rich source of immunogenic mutations, explored in the current research. The research paves the way for the development of potent new weapons against cancer, leveraging the body’s own immune defenses to stop this leading killer in its tracks. Back and neck pain are often the result of the progressive damage of the discs that separate the spinal vertebrae. 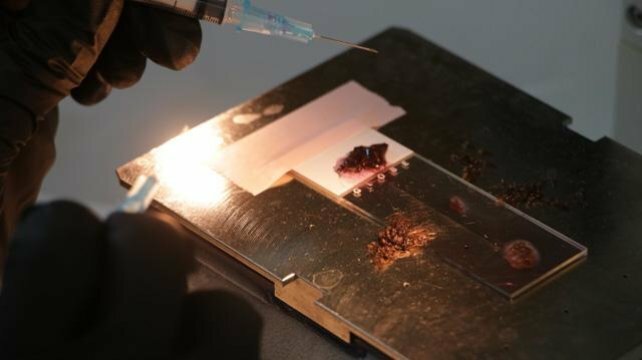 Thanks to new multidisciplinary research, we may soon have a better solution to this problem: bioengineered discs grown out of a person’s own cells. Intervertebral disc degeneration is a common problem that affects a large segment of the population. 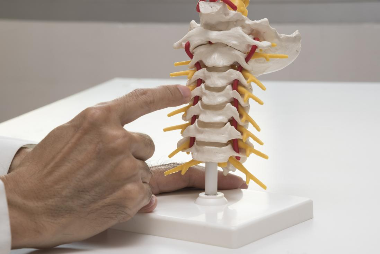 Typically, healthy intervertebral discs function by absorbing stress placed on the spine as we move and adjust our posture in a similar way to a car suspension. If those discs wear out, it can cause pain in various areas of a person’s back or neck. So far, treatments for intervertebral disc degeneration include spinal fusion surgery and replacing the damaged discs with artificial ones. However, these approaches bring limited benefits because they cannot restore full function of the intervertebral discs they replace. Now, a multidisciplinary research team from the University of Pennsylvania’s Perelman School of Medicine, School of Engineering and Applied Science, and School of Veterinary Medicine is aiming to solve this issue by developing bioengineered intervertebral discs made out of an individual’s own stem cells. Stem cells are undifferentiated cells that have the potential to “transform” into any specialized cells. That is why they have become the focus of multiple medical research studies, including the current one. The researchers at the University of Pennsylvania have been working for the past 15 years on bioengineered disc models — first in laboratory studies, then in small animal studies, and most recently in large animal studies. 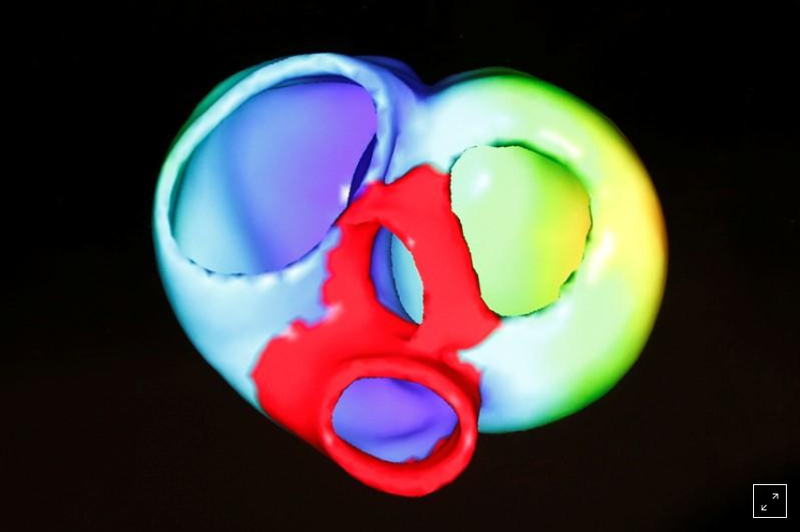 “This is a major step: to grow such a large disc in the lab, to get it into the disc space, and then to have it to start integrating with the surrounding native tissue. That’s very promising,” says Prof. Robert L. Mauck, co-senior author of the current study. “The current standard of care does not actually restore the disc, so our hope with this engineered device is to replace it in a biological, functional way and regain full range of motion,” he adds. Previously, the researchers tested the new discs — called “disc-like angle ply structures” (DAPS) — in rat tails for 5 weeks. In the new study, whose results appear in the journal Science Translational Medicine, the team developed the engineered discs even further. They then tested the new model — called ” endplate-modified DAPS” (eDAPS) — in rats again, but this time for up to 20 weeks. The new structure of the bioengineered disc allows it to retain its shape better, and integrate more easily with the surrounding tissue. Following several tests — MRI scans and several in-depth tissue and mechanical analyses — the researchers found that, in the rat model, eDAPS effectively restored original disc structure and function. This initial success motivated the research team to study eDAPS in goats, and they implanted the device into the cervical spines of some of the animals. The scientists chose to work with goats because, as they explain, the cervical spinal discs of goats have similar dimensions to those of humans. Moreover, goats have semi-upright stature, allowing the researchers to bring their study one step closer to human trials. The researchers’ tests on goats were also successful. They noticed that the eDAPS integrated well with the surrounding tissue, and the mechanic function of the discs at least matched, if not surpassed, that of the original cervical discs of the goats. “I think it’s really exciting that we have come this far, from the rat tail all the way up to human-sized implants,” says Dr. Harvey E. Smith, co-senior author of the study. The researchers say that the next step will include conducting further, more extensive trials in goats, which will allow the scientists to understand better how well eDAPS works. 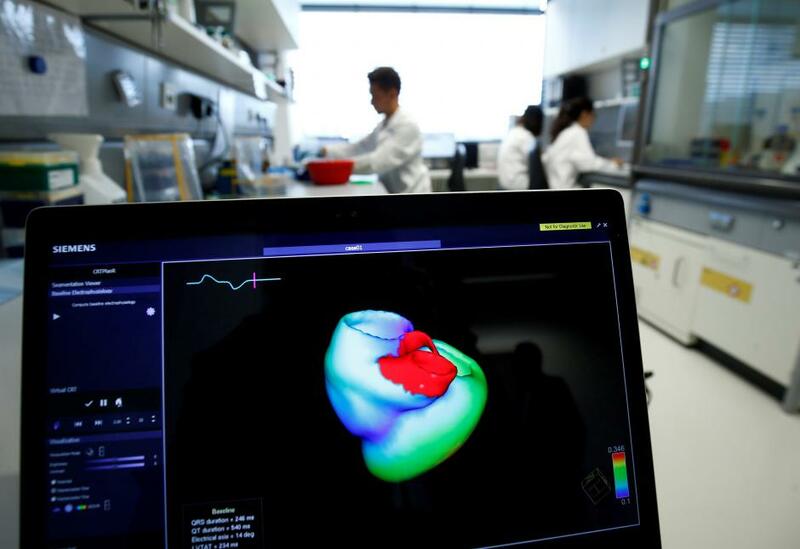 Moreover, the research team plans to test out eDAPS in models of human intervertebral disc degeneration, thus hopefully getting one step closer to clinical trials. “I think it would be a paradigm shift for how we really treat these spinal diseases and how we approach motion sparing reconstruction of joints,” he continues. Two PCSK9 drugs – Amgen Inc’s (AMGN.O) Repatha and Praluent from partners Regeneron Pharmaceuticals Inc (REGN.O) and Sanofi SA (SASY.PA) – were launched in 2015 at U.S. prices of over $14,000 a year. LONDON (Reuters) – A once-monthly injection to control HIV proved as effective as daily pills in a second study by GlaxoSmithKline, paving the way for a new regimen that could be simpler for some patients to be filed with regulators. 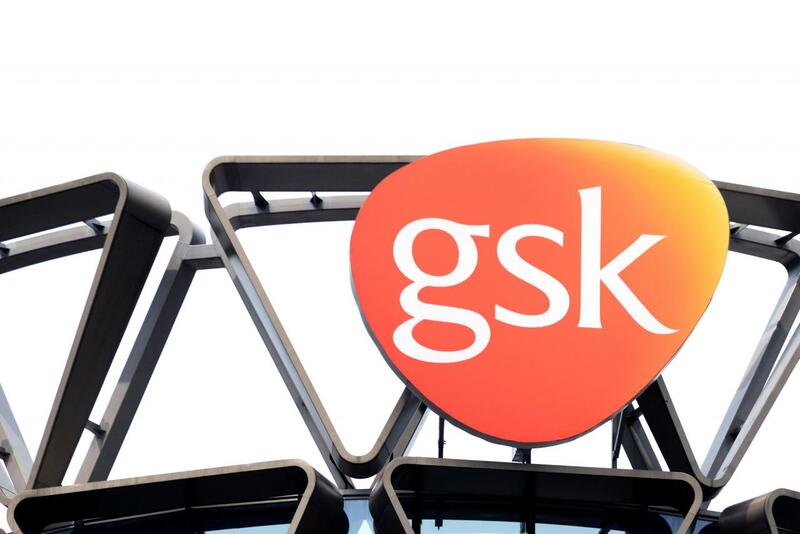 The experimental two-drug injection of cabotegravir and rilpivirine was shown to suppress the HIV virus in a cohort of adults who had not been on a long-established daily three-drug oral regimen, GSK’s majority-owned HIV unit ViiV Healthcare said. In the study, adults with HIV were first put on a 20-week three-drug program of daily tablets to suppress the virus before being switched to monthly injections. After 48 weeks, the injections maintained a similar rate of suppression as the pills, it said. The results support an earlier major study, which involved adults who had been using a three-drug oral regimen to control the virus. ViiV Healthcare’s chief medical officer John C. Pottage said the trial provided further evidence that a long-acting injection could offer an alternative to daily, oral therapy for people who had previously achieved viral suppression. “This innovative dosing regimen could transform HIV therapy by reducing the number of days a person receives treatment from 365 to 12,” he said. ViiV Healthcare, which is also owned by Pfizer and Shionogi, hopes that its work on developing two-drug therapies will help it compete against Gilead Sciences, the U.S. drugmaker that dominates the $26 billion-a-year HIV market. The company said detailed results of the study would be presented at an upcoming scientific meeting.